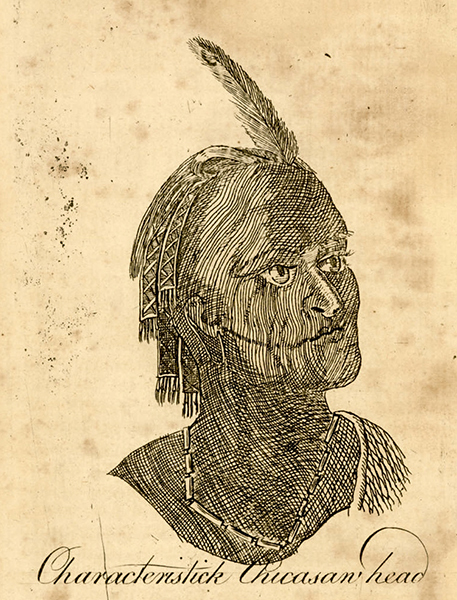 A sketch by Bernard Romans of a Chickasaw warrior. In 1775, Romans published A Concise Natural History of East and West Florida, which detailed life in the Southeast during the Colonial Era. Romans' work provides a detailed description of Native American life in the region prior to widespread white settlement.